One of the first things you’ll notice about this beer is the sleek jet black bottle. One of the first things you’ll wonder about is the name: Bonanza Theater. So, let’s cover that first. Wellspent Brewing Company, which opened on March 2, 2018, is located in a beautiful, century-old building that was home to a movie theater a hundred years ago. There is still some evidence of the old movie theater at this new brewery. As you walk in, you’ll still find the marquees, fully restored to their former glory. “It opened in 1907 and was called the Bonanza Theatre,” said Kyle Kohlmorgen, owner of Wellspent Brewing. The brewing tanks stand where the theater’s balcony once was. Since they found pieces of the balcony when they purchased the building, they didn’t think anything of it from when the movie theater closed until now. Currently, the bread and butter at this brewery is beer with a lower ABV. For example, their house saison comes in at 3.5%. 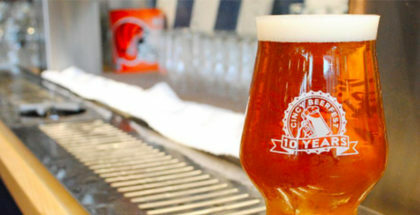 “I like the challenge of brewing a beer that has same alcohol by volume as a Bud Light or something but has a lot of more flavor,” he said. 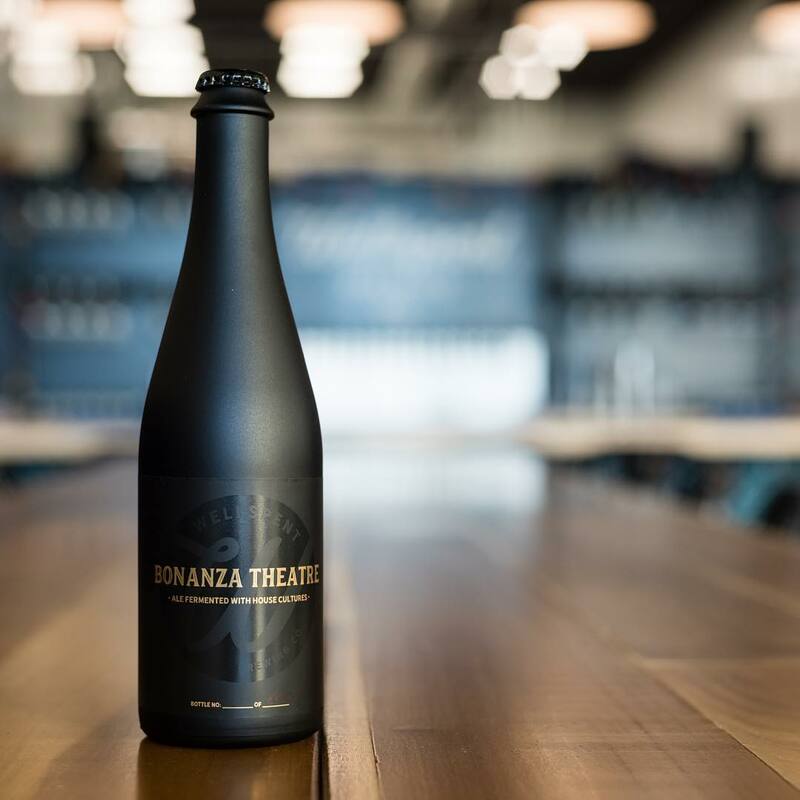 Wellspent’s latest bottle release is their location’s namesake beer, Bonanza Theater. It’s also their first full-sized batch they’ve released that contain their house cultures. The beer uses the house saison yeast in the fermentation process. After fermentation, they inoculated the batch with one of Kohlmorgen’s Brettanomycess cultures. They then allowed it to condition for another 10 weeks in stainless. Bonanza is also lightly dry-hopped, using America Citra and the aged hops, Aramis. The beer is effervescent, soft and pillowy with a dry finish. The pour is blond with a white, stiff foam and ever-so-slight haze. You’ll get aromas of overripe mango and straw on the nose. It’s also complete with hints of vanilla, biscuits and cracked-black pepper. The taste follows the aromatic nose, with flavors of freshly-zested orange and mango with slight hints of minerals. “Over time, I expect the beer will become drier, and the character of our Brettanomyces will continue to develop,” said Kohlmorgen. Brewer Dave Daues, said the largest struggle was just waiting. The Brettanomyces take quite some time to develop flavors by consuming sugar. Once the flavor fully developed, they put the beer through the bottle condition process. The process takes 3-5 weeks, during which they add extra yeast and sugar. They consider bottle conditioning to be more traditional in comparison to force carbonating the beer with CO2. Wellspent Brewing chose a very sleek, matte-black 500 mL bottle as their primary packaging. The label was created by Beau Sholders of New Scar Design. Although they may not make this beer again in the future, it is a good preview into what Wellspent is working on. 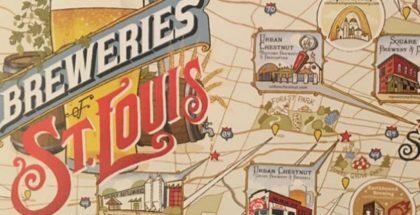 It’s also a great way to showcase how they are starting to incorporate Brettanomyces and their cultures into all their saisons, dialing in texture and drinkability, and creating a saison that is both traditional and unique to the St. Louis brewery. 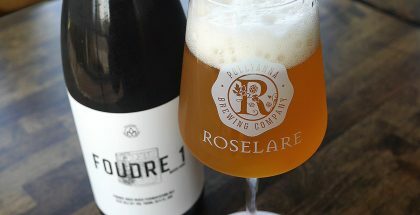 “We’ve already incorporated the same Brettanomyces strain into our House Saison recipe, which will be available sometime in late January,” said Kohlmorgen. We can also expect some of their barrel-aged saisons (sour and non-sour) to emerge in early 2019. 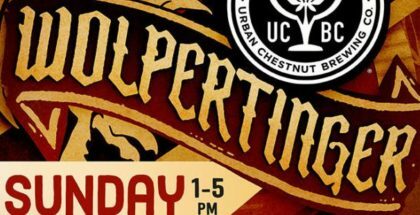 Feature image courtesy of Wellspent Brewing.